This page contains a list of skills that Riley performs in her current routines on each apparatus. 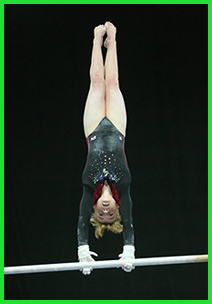 Each skill that Riley inserts and competes successfully in meet allows her to come closer to a higher start value. To watch Riley in action, please visit the videos page.